Newcastle United transfer targets | NUFC Blog. Archive for tag: Newcastle United transfer targets. 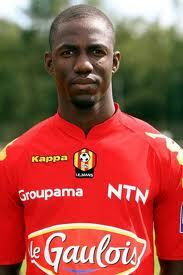 Maiga - still top target? Newcastle United are riding high in 3rd place in the Premier League but groundwork is already being undertaken in preparation for the January transfer window. The last 10 minutes or so of yesterday’s game against Wolves nearly caused me to “‘ave a connery“, as DelBoy might say, but a combination of good fortune and good saves from both Krul and his defenders saw us take all three points and raised us – at least until Chelsea play – to the lofty heights of 3rd in the table. I think we certainly rode our luck yesterday as we have done in a few other games this season but, credit where it’s due, we have also defended very well and look to be getting things together as a unit a bit more now. I think 3rd place flatters us but even if we say that Lady Luck has gifted us 6 points this season, we’d still be 7th, which isn’t too shabby in itself. Kevin Gameiro - Toon target? Alan Pardew confirms that Newcastle United are already active in the transfer market. Alan Pardew has confirmed that the club has made ‘several approaches’ to other clubs to begin recruiting players for next season, although none of these approaches are said to be in an advanced stage yet. 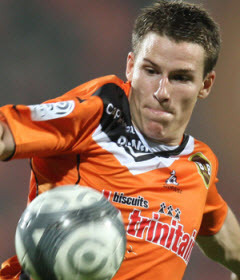 Pardew refused to be specific on names but rumour (and The Journal) suggests that Lorient striker Kevin Gameiro, France Under-21 left-back Cheikh M’Bengue, Hamburg-based Ivory Coast left-back Guy Demel, Cardiff’s Jay Bothroyd and Reading’s Shane Long are amongst those on Pardew’s wish list.